When I was searching through Greek cookbooks, I noticed that the use of carrots in sweets and desserts was a recurring theme. 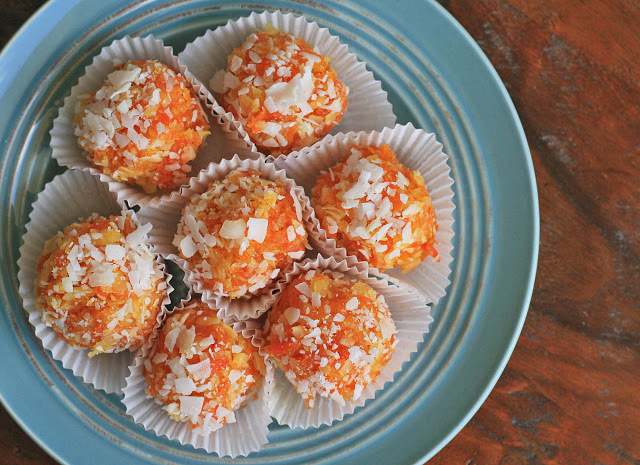 I debated between trying this recipe and one for carrot jam; it was the hefty dose of coconut in these truffles that sealed the deal. 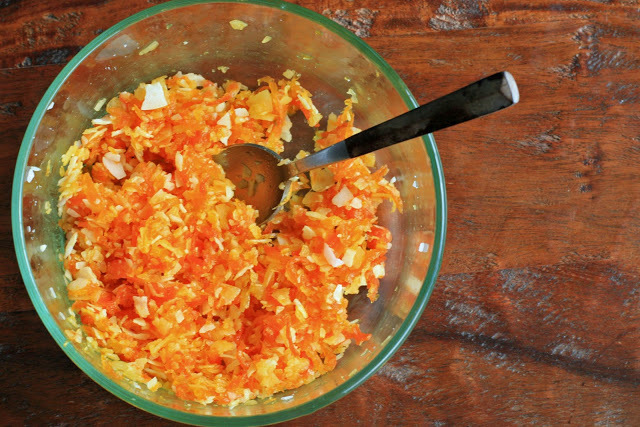 Shredded carrots gets cooked in a sugar syrup until candied and chewy, flavored with some vanilla and lemon and combined with shredded, unsweetened coconut. I wouldn’t go as far as to say that these are healthy, but they definitely have a nutritional edge over your average candy. These colorful truffles would also be great with some add-ins, such as candied ginger, pineapple or even raisins. Anything that you’d think would work in a carrot cake would likely work here as well. 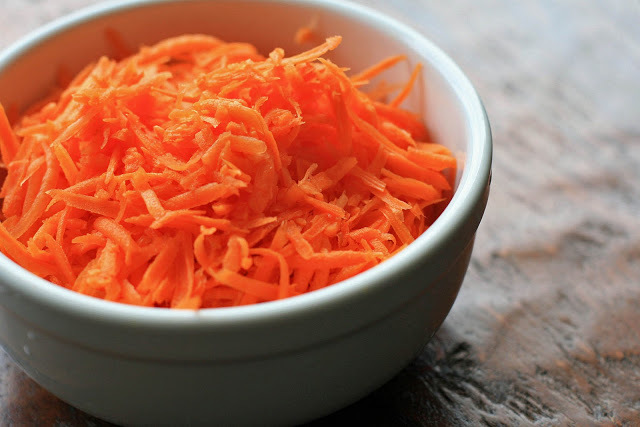 Combine the carrots and sugar in a medium saucepan over medium heat and cook, stirring frequently, for about 20 minutes. Remove from heat and let cool slightly. Mix in the lemon zest, vanilla extract, and 2 cups of the coconut. Refrigerate for at least 30 minutes. Shape the mixture into small balls and roll in the remaining coconut.